But now that I am older, HA HA! 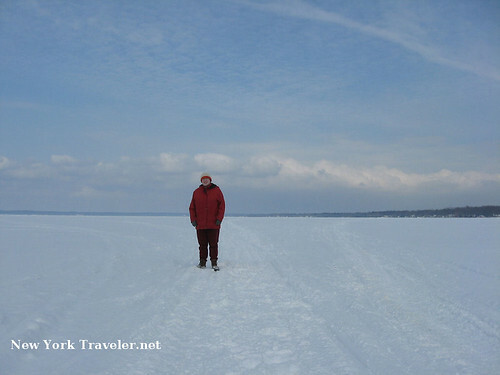 My daughter and I went out toward Syracuse a few weeks ago, and stopped to see the frozen lake. This was when temperatures were in the sub-zero range. The air was icy, and the sky a brilliant crispy blue. 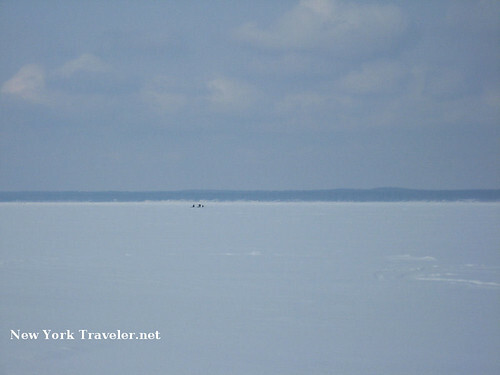 Snowmobilers had already ventured out onto the lake before us. Here’s the view northeast of the lake. 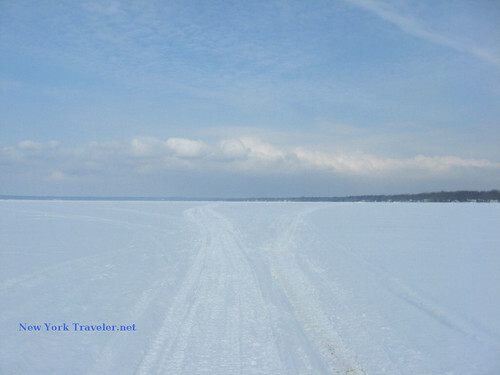 Oneida Lake is a long lake, about 20 miles or so. 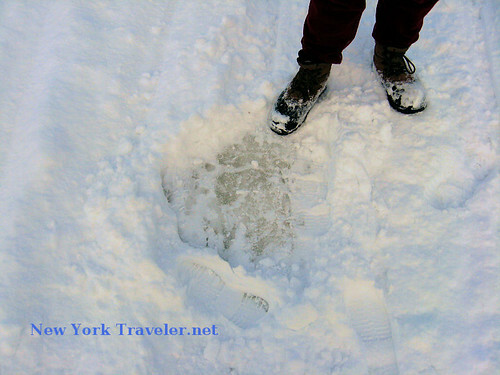 We were entering in from Lewis Point, the southeastern corner of the lake, at South Bay, NY (south of Sylvan Beach). 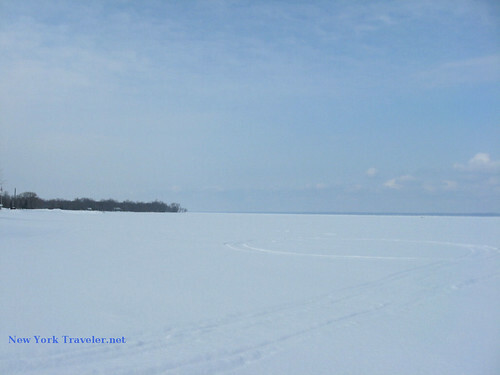 I wrote a post about Oneida Lake and about the mysterious Frenchman’s Island, if you are interested in knowing more about it and seeing some summer photos. There were ice fishermen on the lake that day. Brrr! I wonder how their catch was? And here’s the daughter, nobly and bravely standing out on the lake with me. The ice was pretty solid after a week of below-zero temps. For a very short and rather uneventful excursion, it sure got our adrenaline going! We’ll have to do it again sometime! 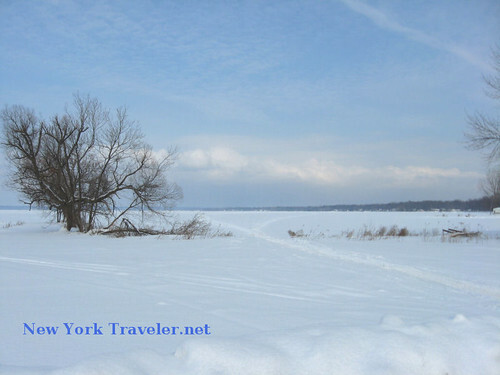 I really enjoy looking at whatever photos I can of Oneida Lake! I used to live in constantia, between 1984, and 1989. I miss it very much. Please keep the photos coming.